can anybody else hear Aphex Twins "Lichen" sampled on the first track? 30.7.94 LIVE is a stunning ambient album. Right from the start, "Castor & Pollux" twinkles like a night sky full of stars, and "An Atom of All Suns" sets one adrift, as if blown about by solar winds. Short bursts of electric guitar punctuate the tracks, and those bursts keep the music from drifting off into nothingness. Understated rhythms, too, come and go, driving the tracks forward. "Northern Lights #5" percolates nicely, though, really, the track titles are just a convenience, as they segue into each other seamlessly. Sit back, relax, and let your mind wander. No question about it - this is one of the truely great late-night chill out albums. 59½ minutes of pure ambient bliss as the many laid-back and funky melodies shift in and out of focus in your head. I played this during the solar eclipse years ago and it was the perfect soundtrack for the event. If you ever witness one: this is your music! Playing it now on the hottest day of the year and it still stands like it did all those years ago. 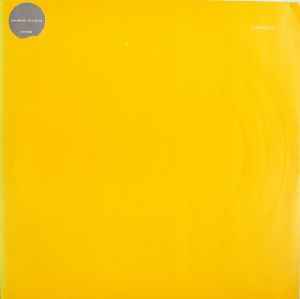 As I write this, Sun Electric's "30.7.94" is over 13 years old and it endures as one of the majestic achievements of ambient electronica. In this listener's opinion, it's up there near the best, along with Global Communication "76:14", Deep Space Network "Earth To Infinity", Atom Heart & Tetsu Inoue "Datacide 2", Dr. Atmo & Deep Space Network "I F" and Biosphere "Patashnik". Throughout this live recording, the music shimmers - nothing I have ever heard has had this peculiar quality. There are complex loops, subtle drum programming, and seemless samples that lead to several breathtaking climaxes that induce goosebumps. As many times as I have heard this record it is always a thrill. This is absolutely essential for any serious electronica fan. The two previous reviewers got everything exactly correct. It's possible that this sprawling, meandering, orchestral electronic symphony is the finest of it's kind, never to be replicated again. The delicate gossamer melodies, the ebb and flow, which at times builds to a soaring and majestic ambient anthems. Plus, I just had one of those ecstatic experiences of listening to "30.7.94 Live" while reading Jonathan Carroll's next book, "The Ghost In Love". It's the perfect soundtrack to a magical book. That does not happen often as I usually cannot read and listen at the same time. The last time the stars aligned like that was when I read JRR Tolkien's "Lord of the Rings" books while playing Gustav Holst's "The Planets" over and over. And that was 37 years ago. A seriously mesmerizing combination of ambient techno, warm basslines, and classic spacemusic sequencer work. The B-side goes through three distinct movements, all underpinned by the same fuzzy, cycling bassline. A kick drum breaks out partway through, but you may not even notice, so engrossing is the combination of elements at work. But the A-side is just splendid: a brooding, bubbling 21-minute piece which breaks out into a gentle shuffle reminiscent of classic Detroit techno. Wonderful music from the very first listen, and it hasn't aged a bit. Chase this one down and you won't be sorry! Sun Electric have other great albums in their usual spacey, melodic style... but here they turned purely ambient, just for one album. I just cannot find the words to adequately describe how much I love this album. SE have produced - if you ask me - the finest ambient release EVER here. Wonderfully melodic trips that are nothing like as twisted as their newest works (e.g. Badorb EP), they take time to slowly develop and fall away. Um... ah... IT'S INCREDIBLE! Just do whatever you can to get a copy of 30-7-94. This is a live recording containing three sprawling, gentle ambient tracks. At one point, "A Hard Day's Night" by the Beatles echoes through. Sounds like lying on your back at midnight watching the stars and clouds.